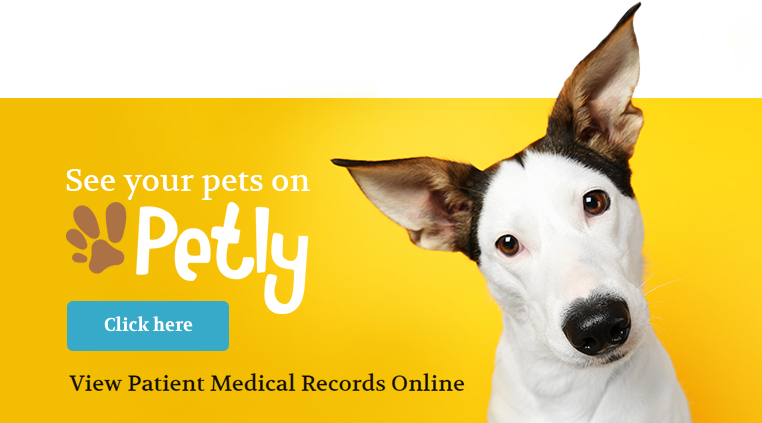 Welcome to Pets Paradise, where your pet can take a vacation from the ordinary. Whether for a couple days or an extended stay, your pet will love our clean facilities, friendly staff and the companionship of our other guests. 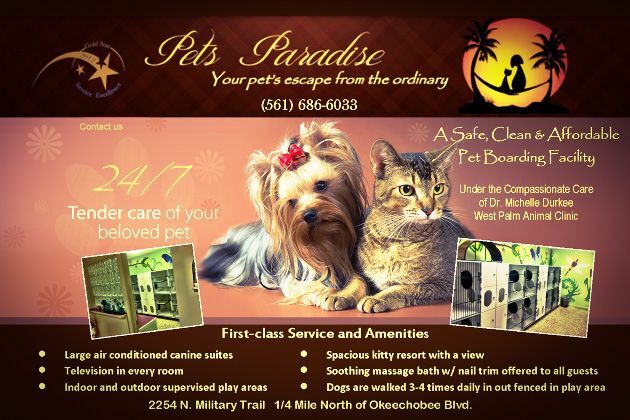 Adjoind to West Palm Animal Clinic, Pet’s Paradise Boarding Facility offers private, affordable, full-service, boarding facilities for your pets. Our roomy, immaculate accommodations – as well as personal service - have received a “five paw” rating from our four legged friends. Canine guests enjoy a dedicated technician who provides personal care to fit the needs of each guest, which includes at least four leisurely individual leash walks per day. Our feline guests also have a dedicated technician who makes sure their stay with us is “purr-fect”! The feline accommodations are very cozy, quiet, spotless and comforting. At your request, we can pamper our guest with a soothing bath, brushing and pedicure during their stay at our resort. All of our guests receive plenty of TLC, meals and all the comforts of home. Our veterinarian Dr Michelle Durkee & staff keep a watchful eye on each of our guests during the course of their stay with us. We supply clean, comfortable bedding to all of our guests. If you pet requires a special diet, feel free to bring the necessary amount with names and instructions clearly labeled. 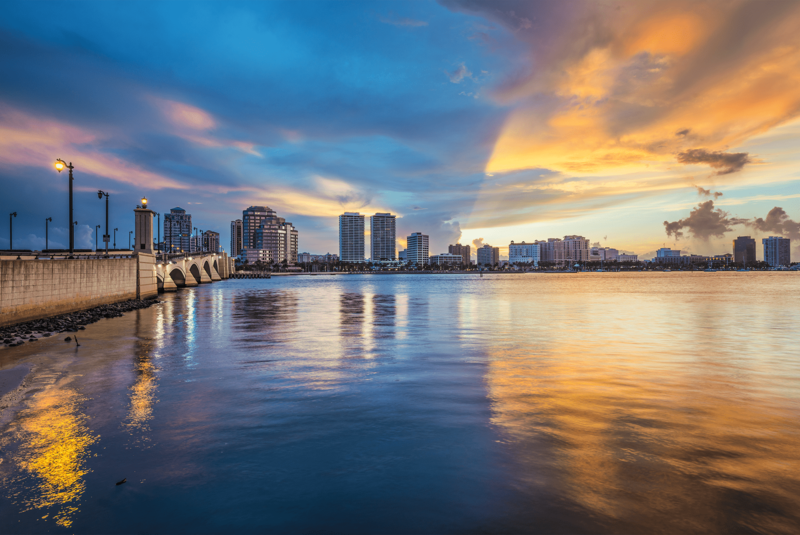 At Pet’s Paradise we provide quality care with a loving touch to the residents of West Palm Beach. Space is limited so early reservations are strongly suggested.